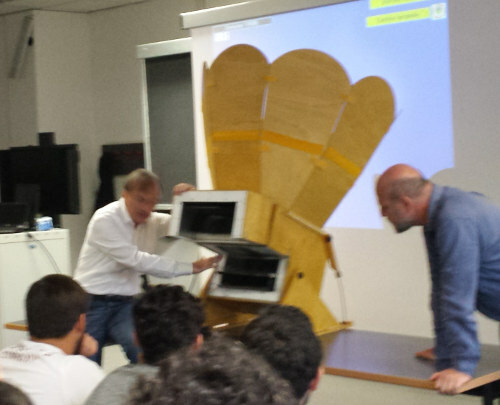 October 2016, Helio has been invited to held a lesson on solar oven and cooking at Course of Study of Gastronomy at Roma Tre University. Helio, illustrated the solar oven history, end the several solutions generally adopted and the solutions adopted by Helio. Cooking results obtained by our chefs were also showed, together to one of the solar oven brought in class. 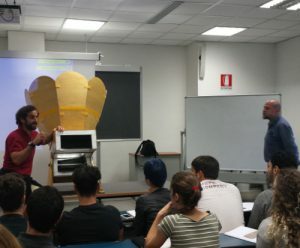 Obviously we have a new appointment, but not anymore in the class rather outside to show live the solar cooking from Helio and solar eating from students!